Explanation: How did this strange-looking galaxy form? Astronomers turn detectives when trying to figure out the cause of unusual jumbles of stars, gas, and dust like NGC 1316. 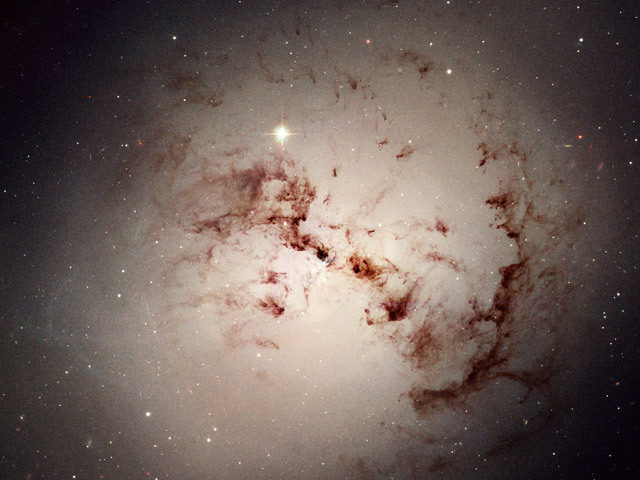 A preliminary inspection indicates that NGC 1316 is an enormous elliptical galaxy that includes dark dust lanes usually found in a spiral. The above image taken by the Hubble Space Telescope shows details, however, that help in reconstructing the history of this gigantic jumble. 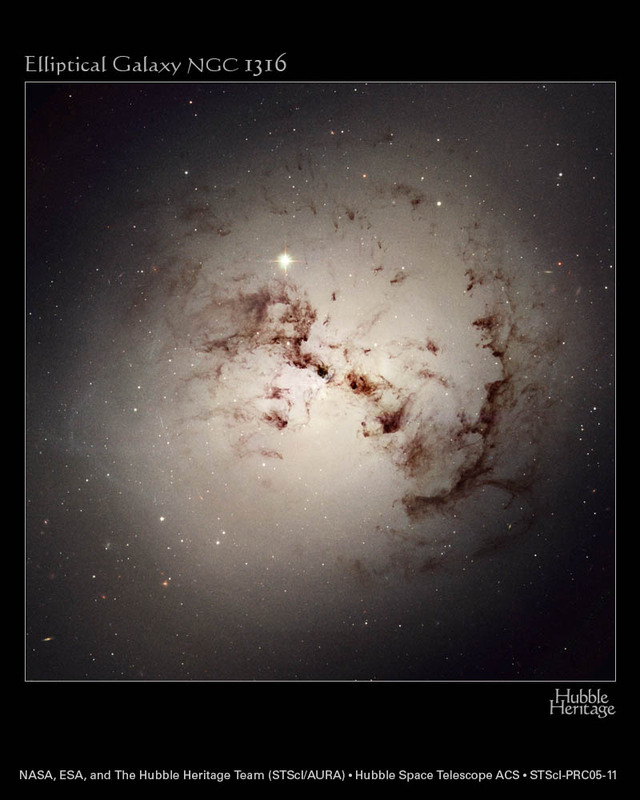 Close inspection finds fewer low mass globular clusters of stars toward NGC 1316's center. Such an effect is expected in galaxies that have undergone collisions or merging with other galaxies in the past few billion years. After such collisions, many star clusters would be destroyed in the dense galactic center. The dark knots and lanes of dust indicate that one or more of the devoured galaxies were spiral galaxies. NGC 1316 spans about 60,000 light years and lies about 75 million light years away toward the constellation of the Furnace.